This guest house is actually a former orphanage built in the 1860s, so it is not surprising that the children who passed away from yellow fever during this time have been witnessed as playful spirits. The ghostly children run through the halls, and guests have heard them giggling within the walls. The apparition of a nun also has been noted in the top floor’s second wing. I had no idea this place was haunted until after we left. I stayed 3 nights Memorial day weekend and every single night I had a horrendous nightmare. In one I was told I only I had a week to live. It definitely felt creepy to stay there but I did not know it was haunted!! I was here in 2013 for a little vacation. 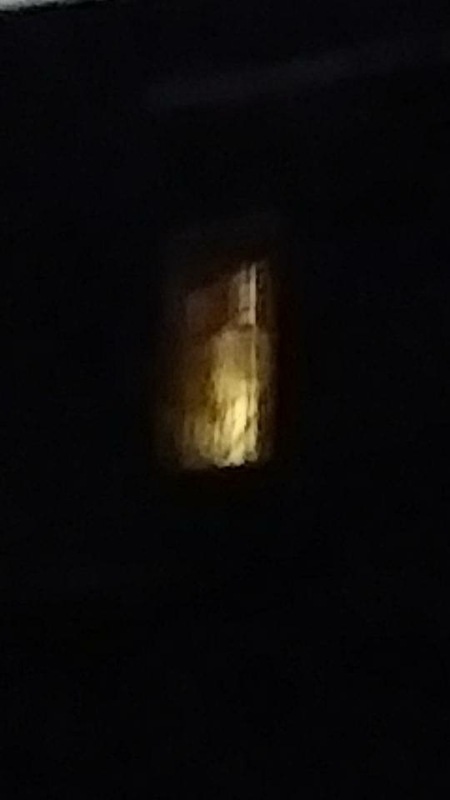 I woke up one early morning to get ready for my drive back to Atlanta around at 3:30 to 4:00 am and it definitely felt like someone was watching me having a cigarette on the balcony. Freaked me out. Other than that, will definitely come back next time Im in New Orleans! I didn’t have a full on experience there, but there was some playful stuff that seemed to happen. There is a cat figurine that everytime I came in and out of my room seemed moved with or without people being in the hallway prior. I could go in my room for 5 minutes and come out to the figurine being in a new place, and by new place I mean sitting on top of a new piece of furniture very obviously separate from where prior. If it was something supernatural and not just someone pulling a 3 day long prank on me than I am sure it was a playful spirit. Also the atmosphere here screams haunted. Whether it be the creepy devil looking statues, or the eerie pictures of orphans celebrating Halloween during the turn of the century. I hadn’t even heard the stories about it being haunted till after my stay there.Med and my friends thought it was someone pulling a prank on us to make things seem haunted. I’m not so sure now. My husband and I stayed here because we couldn’t find a room for Jazz Festival. When we got there, I asked the lady at the front desk if the place was haunted and she said “Honey, I hope so.” The sepia toned pictures of the orphans were a little creepy, but the room was nice. A few hours after we went to bed, I felt the corner of the bed raise up. I pushed it down, thinking it was the sheet pulling it, but it raised up again. Then the bed began to shake. My husband woke up and said “Is the bed shaking?” and then went back to sleep. I then saw a shadowy arm and hand coming up from the end of the bed. I said, “we’re not here to take you room–we’re only staying for one night.” and it went away. Needless to say, I didn’t get much sleep the rest of the night! My wife and I were looking for the haunted experience, we stayed in sep 2015 we got there at night and started taking pictures. I didn’t know much about the place but we stood on the second floor of the second wing. I woke up to lots of rattling and shadows I thought I was tripping so I went back to sleep. The next day my wife and I were looking at the pictures I took and to our surprise images of spirits were flying out of the hotel. We were like wtf! I’m not seeing that picture, can you try reposting? I’d be curious to see what you captured considering our stay. We stayed here because it was a cool option in a great location. When we first arrived at the house it was beautiful and creepy at the same time. We got to our room in the second wing and were delayed by our toddler son playing with the walls (slapping and laughing at them). Didn’t think anything of it and entered our room. The place is old so we didn’t expect perfection, but little things like the cable outlet and a drawer were broken. Not a big deal, just meant we only had one channel. Shortly after getting settled on the bed we heard a group of kids run loudly down our hall. My wife and I looked at each other like “oh great, they put a loud family in our wing with us.” Even my son looked at the door when he heard the commotion. About an hour passed and we continued watching our one channel without interruption. My wife asked me when the place was built, and I turned to google. It was only then that I found out we were staying in an 1800’s orphanage, well known as being quite haunted with many guest claiming they’ve heard…you guessed it, kids running and laughing down the halls. It was at this point that I realized I never heard those kids come into or leave thought the one door to the wing, never heard them enter or exit a room, realized that it was a Tuesday night, and at no point did in this small house did I see any families or kids whatsoever, only adults. All of this gave me goosebumps when I recalled our son playing with the walls when we arrived. I told my wife non of this for her own good, we slept though the night well without incident, and I would absolutely stay there again, just with a better understanding of what to expect. I’m a very realistic person as is my wife, but something is definitely going on in this place, and our first instinct (when I finally told my wife in the morning) wasn’t actually fear, but sadness for those kids that are seemingly lost in those walls. We said a prayer they would find there way, and left with a story to tell our son when he was older. I actually lived there on 2 occasions from April 1982 thru Nov. of that year and also in 1984 August thru October. It was an unwed mother’s home during that time. It was back then grand and majestic and I was grateful for their services. No haunting activity took place there and it was a place of rest and security for the mothers. I had an intense daytime sleep paralysis episode there while I took a nap. I awoke to see to small African American children at the end of my bed. I sat up and they stared at me intensly . The sound of the AC grew louder and louder until it was deafening. Then I suddenly awoke. Pretty awesome place! This hotel is haunted. I wake more early and stay at bed. From nothing he bed start shake. I start look for my boyfriend body but he isnt move. Late i fell like Someone come up to the bed. Cant say if was a hand or feet. Well, back in 2010 I think. I went there to stay a couple of nights cause I had a big fight with my dad so, I didn’t want to go back home. 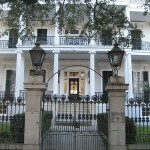 I didn’t have that much money so I decided to stay close to my place ( I lived in the garden district at that time). Place was cheap, must be still. The deal is that without knowing anything about the place, I just stayed there no problem. The second night I got there from work around 9 pm. I used to work in the French quarter as a day bartender and I was tired as hell. I was staying at one of those big rooms they have and well, I went straight to my bed. I was the only one there, it was a weekend, so everyone was out. I was falling asleep when I suddenly heard the main door opening kind of rough and I heard a loud playful chatting between what I thought was a bunch of young girls getting into the room coming towards me, I couldn’t understand what they were saying, didn”t sound like English, the thing is that, I got mad cause they were kind of loud and I just shout ” shut the f#$% up man!!! !” , suddenly , the voices went down in a very strange way, like when you turn down the volume on the radio or tv quick, but not that quick, you know what I mean?? It was weird, but back then I was a total non believer, I didn’t even think about it too much. The weird thing tho, is that they disappeared without me hearing anything else. No more noises, no walking, running or opening and slamming the door shut…nothing! !, weird I said to myself, I thought they were hiding in the boys bathroom since it was close to the room’s door. I walked towards the main door and it was completely shut and there was nothing there! I checked both the boy’s and girls bathrooms and nothing!!. I was like ” what the hell? ?”” but I was like “hell with this” and I went back to my bed, but it was too late. My sleep was gone. So I decide to go out to take some fresh air. They have some kind of old plaza in the middle of the building, I guess typical of those kind of places, there was some people there, mostly hippies and backpackers you know, and I started talking to some foreign kid. I told him the story and he was like ” hey everyone!! guess what? this guy just had an experience!!! I didn’t know what the kid was talking about, later they told me the place was famous for those kind of paranormal things happening there. I was like “get out of here! !” , but after a while they made me think about it and I went to talk to the clerk and I asked him, Hey man, how many people are supposed to sleep in my room tonite?? I gave him the number of my room ( I don’t remember it anymore) and he told me, ” just four people”, I then asked him, any girls in the room?? he was like …”nope”, then I told him my story en then he shook my hand and said …” well sir , you just had an experience!… congratulations! !”” I laugh about it when I found out that even people from that tv show ” paranormal… something” has been there looking for ghosts and that kind of stuff and there I was, a non believer experiencing that kind of stuff out the blue!!!. So, yeah, something happened to me there and it was real. Since that day, I don’t make fun of those stories anymore like I used to, I just respect the fact that this world we live in is old and mysterious. That’s it. Hugs to everyone. My girlfriend and I stayed one night. She got drunk and slept through the night, but I could hear what sounded like furniture being moved around in the next room. It went on for most of the night. I could hardly sleep. 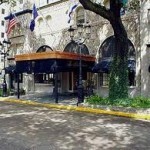 Me my wife and child stayed there on a visit to New Orleans. You could hear children laughing and running down the hallways doors slamming when you went I t he hall to check no one was there. Around 2 am I felt one thing at the foot of my bed. I woke up and there was a little boy standing there and grabbed my toe and latched on when I jerked he was gone. Freakiest thing ever. No joke at all! I went there with a group of friends for fall break in 2014, the minute we got there we were terrified by how creepy it looked. We were in eight, so we got two rooms, I stayed with 3 other girls on the second floor, left wing. When we got to our room (it was the last room, at the very end of the corridor), a friend started crying saying she didn’t want to stay there, eventually, she calmed down and we decided to stay. At our last night there, we heard someone knocking at our door and since we were getting ready to go out to Bourbon Street we thought it should be our friends who were staying on the third floor. When we opened the curtain to see who it was there was no one there, just an empty dark corridor. We were terrified and glad it was our last night there. We have stayed here 3 times. The first time and the last time we took pictures of the left wing from the parking lot and there were ghostly figures that looked like a KKK member in both pictures. The second time we went we didn’t take pictures but heard kids laughing and someone ask if we wanted to play in the hallway. There wasn’t anyone in the hallway but us! The top floor, definitely haunted. There was more activity up there than throughout the entire building the week that I stayed there, yet at that time, 2013, no one was allowed to go up there. No construction at all.